Kara Danvers has managed to dedicate her entire life to protecting the earth as Supergirl while also maintaining her civilian identity a secret. Much like her cousin, though, the constant stresses of leading a double life have been a significant an ever-present issue threatening to tear her apart. 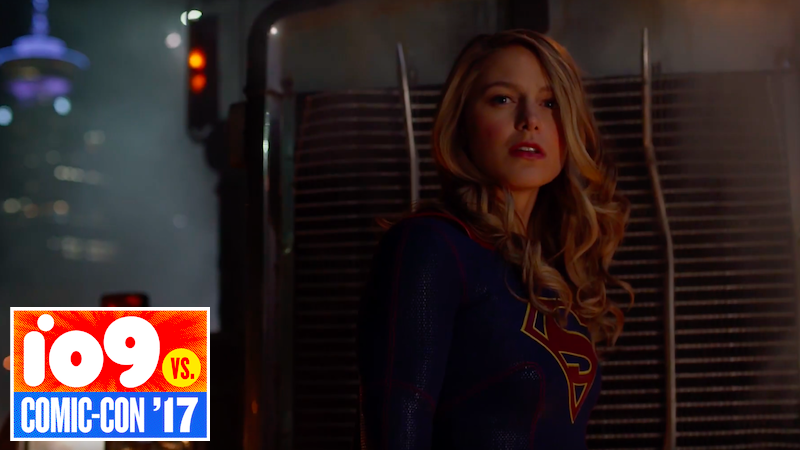 In the first trailer for Supergirl’s third season, Kara’s still deeply shaken by Rhea’s invasion making the decision to sacrifice Mon-El in order to save the earth. As one of the few Kryptonians left in the galaxy, Kara knows that she’s becoming something of a beacon for conflicts from beyond the stars and is now considering giving up her human persona in order to live and fight as Supergirl 24/7. The trailer also gives us our first look at the new season’s major villain Reign (Odette Annable,) shady real estate developer Morgan Edge (Adrian Pasdar,) and a flashback of Kara’s mother, who’s now being played by Smallville alum Erica Durance. Also joining Supergirl this season Carl Lumbly who’ll portray J’onn J’onnz’s father, M’yrnn J’onnz, and Yael Grobglas as Psy, a telepathic villain who terrorizes people in National City. Supergirl’s third season premieres October 9th.